Newly sworn-in California Lt. Gov. 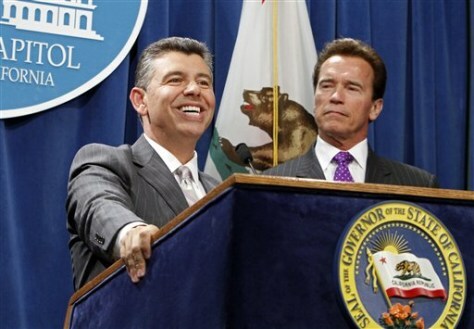 Abel Maldonado, left, accompanied by California Gov. Arnold Schwarzenegger, speaks at the Capitol in Sacramento, Calif., on April 27.